Now that the weather is warming up, bugs have started emerging. People are concerned about the harm that bugs do, but did you realize that harmful bugs account for only 1%-2% of the insect population? This figure means the other 98% are beneficial. There are three ways bugs are considered beneficial. They can be pollinators, predators, or parasitic feeders. Regardless of which category they fall in, it’s important to have them around. Here are some tips to help attract beneficial insects to your garden. First, plants in the umbelliferous family (carrots) attract beneficial bugs, so set members of this family in your garden. There are actually around 3,000 species in the carrot family, mainly herbaceous plants native to temperate climates around the globe, but what are common among them are their flower clusters which resemble miniature flat-topped parasols. These are termed umbels from the Latin word umbellula, meaning “umbrella.” Examples of umbellifers in addition to carrots are: dill, coriander, fennel, parsnips, cumin, anise, and parsley. Dill (Anethum graveolens) is an annual herb in the same family as celery. It’s good at drawing such insects as lacewings whose larvae are known for devouring aphids. Fennel (Foeniculum vulgare) is a flowering plant species in the carrot family that attracts lady beetles that prey on aphids, scale insects, thrips, mealybugs, and mites. Lovage (Levisticum officinale) attracts ichneumon wasps, which parasitize the larvae of herbivorous insects. What makes this group of plants so attractive to beneficial bugs? Dr. May Berenbaum, head of the Department of Entomology at the University of Illinois at Urbana-Champaign, says it’s because they have small flowers with accessible nectar and a nice landing platform. 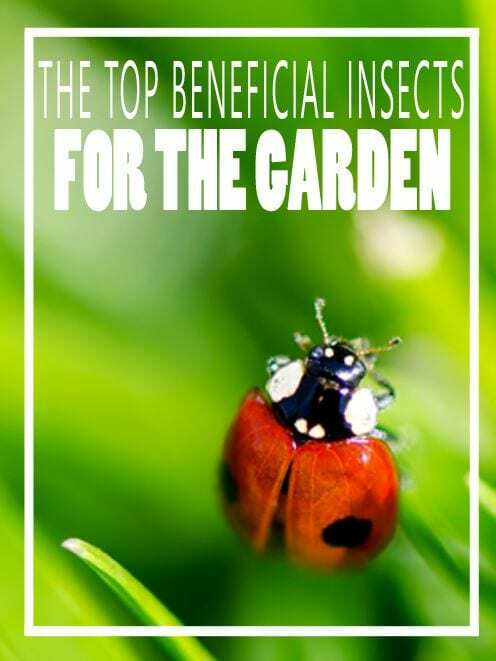 Another helpful tip to attract beneficial insects is to increase the biodiversity of your garden. One would think that by simplifying things, spraying pesticides and growing just a few varieties of plants, that pests could be controlled, however it actually encourages problems. By making the environment more complex (diverse), problems are in fact less likely to occur so grow a wide range of plants (attracting beneficial bugs) and avoid using broad-spectrum insecticides. A third tip is to release large quantities of beneficial bugs in your garden because they can help in several ways. They may eliminate the pests right away, then disperse and die off, or they may establish a local population of beneficial offspring that live from year to year reducing pests, or they may consume a few pests and fly away. There are about 50 raised and sold commercially today. How you release bugs is dependent upon the type of beneficial bug you buy. So before making a purchase, consider the bugs’ lifecycles, local temperatures, time of day/night, food source and the method used to disperse the insects. Always keep purchased bugs cool and watered before release. For more information on gardening and beneficial bugs, contact me at the Gilmer County UGA Extension Office.